The Sustainable Development Goals (SDGs) will build on the expiring Millennium Development Goals, which were launched in 2000 to end extreme poverty by 2015. What do the SDGs mean for African countries? 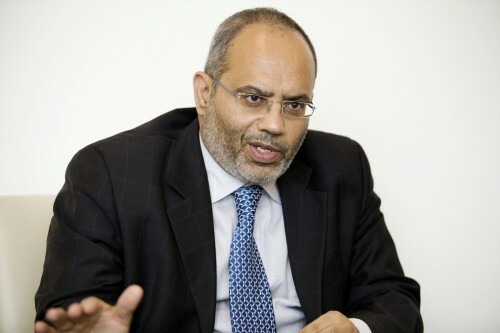 Carlos Lopes, the Executive Secretary of the UN Economic Commission for Africa (ECA), shared his thoughts with Africa Renewal’s Jocelyne Sambira in Addis Ababa and Kingsley Ighobor in New York. Africa Renewal: Africa reportedly made progress on a number of MDGs targets but fell short on others as compared with Latin America or Asia. What can Africans expect from the new goals? Carlos Lopes: What is important is not to think that SDGs are only an African agenda. The SDGs are a global platform to which everyone must contribute. However, many regions, such as the European Union, are not going to wait for the SDGs to define their strategy for development. Nor should Africans wait for the SDGs to define their particular strategy — they have to have their own strategy, it’s Agenda 2063: their aspirations and vision for the long-term. It has been under construction for the last three years. We now have a 10-year development plan within those “aspirations” to tackle all the various frameworks that Africans have adopted on infrastructure, agriculture, industrialization, health and education. The African goals don’t contradict the SDGs. Our goals are specific and more focused on the transformative policies that can make a difference. This means Africa’s focus will be on Agenda 2063? Africa has developed its own strategy and will provide input on the international agenda. What I hear from our leaders is basically that they’re following Agenda 2063 and its 10-year plan, and they see a convergence with the SDGs. This is very important for African agencies because it will give much more credibility to whatever they are doing. There is a whole process of African countries submitting their national plans to the AU and NEPAD to make sure they conform to the aspirations of Agenda 2063. In that process it will be easy to infuse the SDGs. You just launched a report — an assessment of the MDGs — indicating that poor implementation and reliance on aid undermined achievements. On the MDGs, we advanced the expansion of secondary education. We did well in women’s representation in the political system, but not in all the gender indicators. It is true that we ended up with a fragmented agenda that depended to some extent on where the donor money was going. We are now entering a different stage. We have taken stock and we shall move on. We are ready for the next stage. During the Third Financing for Development Conference in Addis Ababa in July 2015, the question of the price tag for implementing the SDGs was often raised. You see, when we had the first Financing for Development Conference in 2002 in Monterrey, it was about how we fund the MDGs by increasing support toward some of our priorities — the eight big goals. I think it captured the imagination of people; they could relate to those goals. Now it’s a bit more difficult because the SDGs are quite widespread; they encompass almost everything. Therefore it’s going to be difficult to communicate to the majority this complexity unless we simplify the message, which I think is needed — it’s a communications issue. 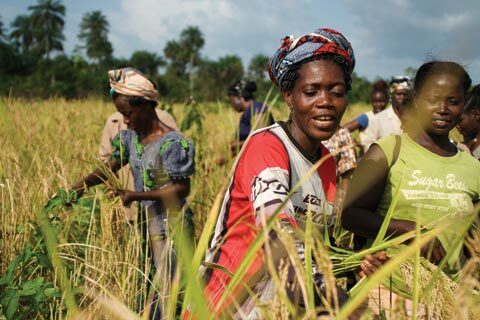 In the coming years Africa will most likely get $48 billion per annum in official development aid (ODA). Could that be one of the key financing sources? I know Africa gets about $52 billion of ODA per year. According to the OECD [Organization for Economic Cooperation and Development], this figure is declining. Maybe we will end up with $48 billion in the next five or six years. The answer to Africa’s financing is very clear: the efforts have to be internal. We cannot have a situation where our continent is exerting the least fiscal pressure to such an extent that when you take out a number of important contributions such as the extractive industry, people basically don’t pay taxes. There are no countries that have developed without internal efforts. So aid is not really what we should focus on, although it is important to help maximize opportunities. If I have a choice, I will put all the aid money into catalysing our domestic resource mobilization. Then it will have a multiplier effect without diverting our attention from a single agenda. 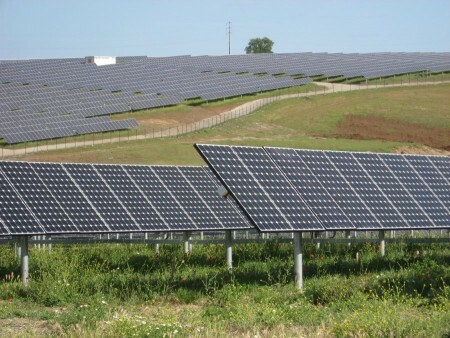 How do you see the future of financing for development in Africa? The future for Africa is basically domestic resource mobilization, so we go back to the need for Africans to define a strategy for themselves. That’s the real ownership — it is when you increase your taxes and you become more efficient in collecting and using them. So you get to fund your own development. Basically, you put your money where your mouth is, and you become less dependent on other flows that are very important and welcome, but are not a replacement of what you need to do. Right now Africa is very keen on domestic resource mobilization. This has been expressed by African ministers in many different circumstances and documents, including at the ECA. For domestic resource mobilization, tax issues, which are one of the remaining sticking points, are very crucial and the way it is treated can have an impact on Africa’s interests. How does Africa plan to measure the SDGs’ 17 goals and 169 targets? If you don’t have proper statistics, which a lot of African countries don’t, you can easily be overwhelmed with 169 targets. Because we have insufficient information, from a statistical point of view, this invites all kinds of experts from other parts of the world to flock to Africa with their reports and monitoring. Putting in place the statistical machinery for planning is different from putting them in place for monitoring. I hope we don’t make that mistake because that’s what we did in the past. What we need is solid and methodologically sound statistics. An approach that is structured and not fragmented. The number of targets in the SDGs is a wake up call for us to not make the same mistake. It remains to be solved how to monitor the targets to make sure that people are not overwhelmed with too much reporting and crisscrossing agendas. This is what we must do in the next year or so.